This portable pressing surface from june Tailor will help you block the smallest quilting pieces with complete accuracy. 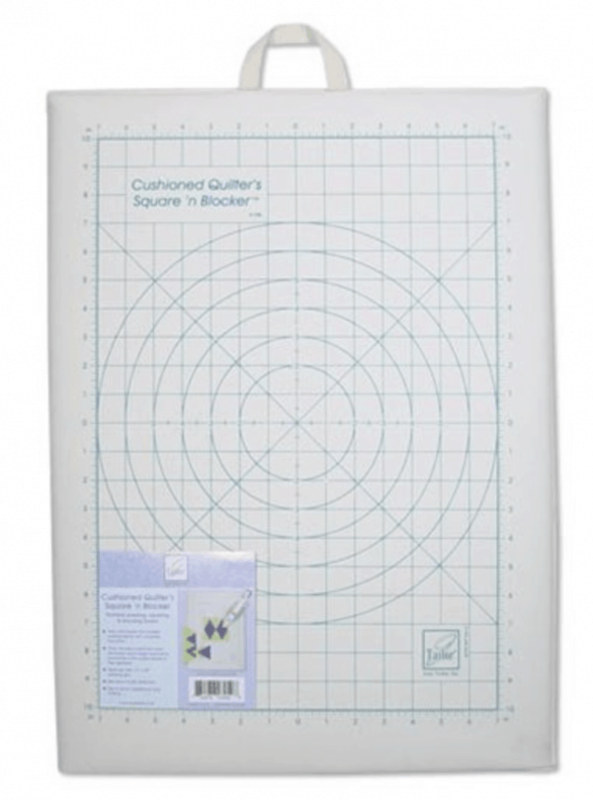 Convenient 18″ x 24″ pressing surface on one side with a printed 14″ x 24″ Grid. Thick, bonded cushioned layer eliminates seam-edge impressions and protects the raised detail of applique. Convenient carrying handle for portability.